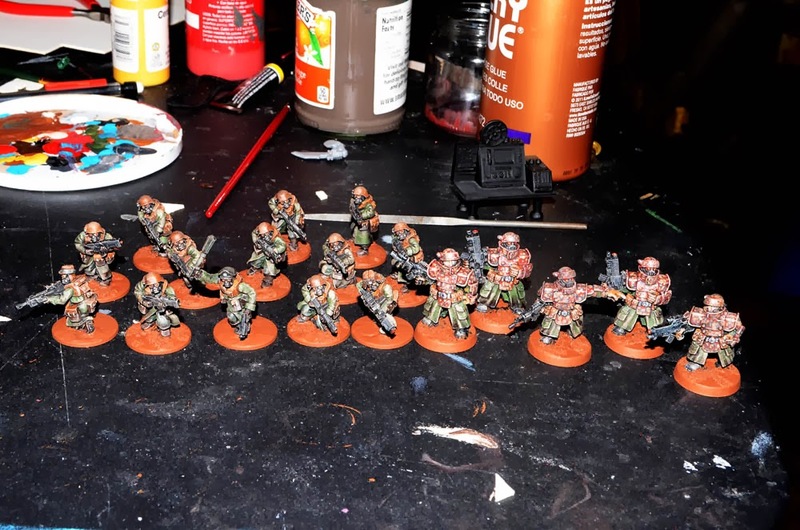 Nate Miller's Tabletop Games: Martians and Wolfhounds on the paint table! We have been working on more forces for the Station 42 War the last couple of days. 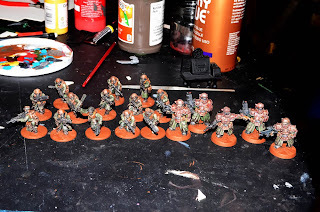 Above are some Martian Soviet Socialist Republic forces my wife has been painting. They are just about finished. All she needs to do is finish up the bases. 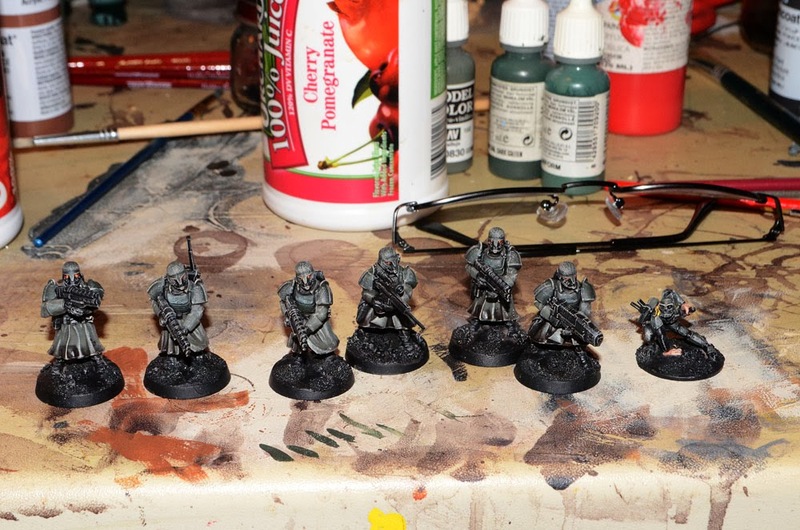 I'm getting pretty close to finishing the Wolfhound Veterans and Assassin as well. I still have the metallics and bases to do on them. Hopefully they were all be finish later today or tomorrow. We hope to have a small campaign skirmish tonight as well so these might not get done as soon as I would like. They look great. The Iron Pig figures mix well with the Vor figures.